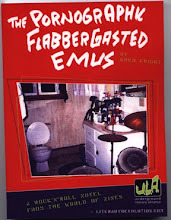 Every once in a while, I heave a book that I haven't written onto Amazon.Com. This time, it's a science fiction anthology called Steampunk III: Steampunk Revolution. It has some familiar writers in it such as Lev Grossman, Nick Mamatas, Bruce Sterling, Caitlin R. Kiernan, Christopher Barzak, and Catherynne M. Valente. I'm not as familiar with the other ones. I bought the book secondhand, but it doesn't appear to have been read. I haven't read it either. Perhaps it is waiting for you. Right now, I have the cheapest price on Amazon, but I suspect it's only a matter of seconds before the algorithms start cranking and the guy trying to sell it for $799.00 will figure out that no one will buy that copy when I'm offering one for $5.99 plus shipping (the $799.00 dude wants you to pay for shipping as well; one would think at that price that the shipping could be thrown in). Someone will have to explain to me the insane pricing strategies of some of the people selling on Amazon. Will some demented rich person only buy a book if it's priced in the hundreds of dollars? If so, I'm missing out. 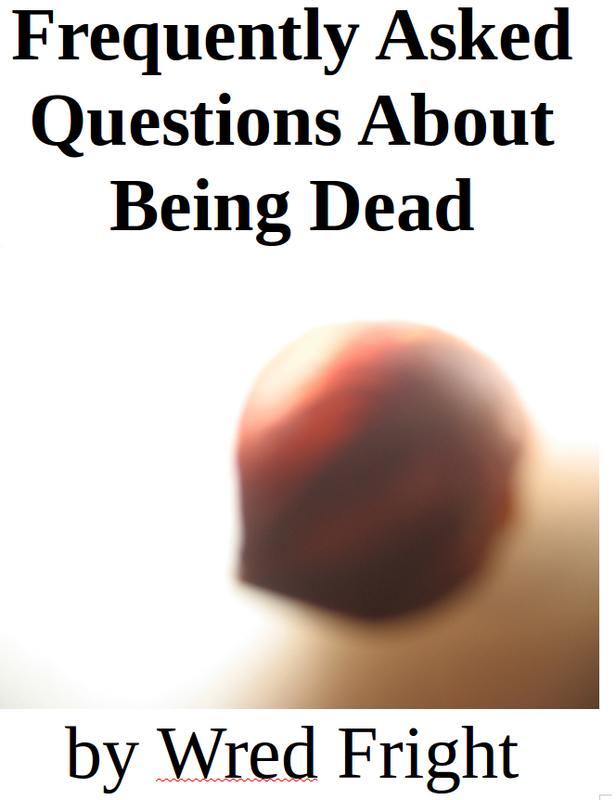 A few years ago, an email newsletter popped up in my inbox. It looked like something my character Francine Apple from Blog Love Omega Glee would make. Each edition would have a list of linked news articles with sarcastic commentary mixed in with the headlines and articles. The prevailing political attitude was one of skepticism and paranoia about anything a government official said. It made for a nice counterbalance to the disgusting gullibility and reverence for the status quo (especially the rich and powerful) that runs through most of the mainstream media. I mean I appreciate the mainstream media, but if they were all I had to choose from as sources for information, then I'd feel as if I were living in the fictional world of Orwell's 1984. So thank goodness for the Citizens For Legitimate Government (CLG) newsletter! It helps me maintain a balanced media diet, which is very important when my country's elected leader is trying to whip up some war hysteria so he and his rich friends can get even richer (if you want to know what the proposed military intervention in Syria is really about, read the code in the words "chemical weapons" by dropping out all the other letters except for "o", "i", and "l" and then use them to spell a common word in English--my feelings about the USA getting further involved in the Syrian conflict are fairly similar to David Stockman's, who also regards it as a foolish pursuit). CLG can be characterized as being written by conspiracy theorists, but that's refreshing when so much of mainstream journalism is written by imperialist lapdogs. When someone is asking you to spend your money and time to kill people you don't know, your default answer should be no and not yes, and that's the way it is in every edition of CLG. I've been on an Alan Moore reading kick lately, tracking down a few oddball titles I've never read. 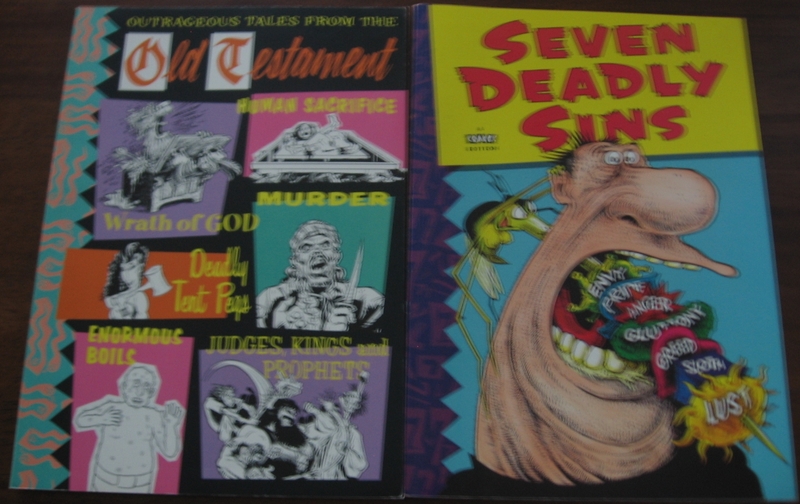 I just finished Neonomicon, Seven Deadly Sins, and Outrageous Tales From The Old Testament, the last two of which I've just put up for sale on eBay (I don't hang on to many books these days--my packrat/hoarder era is in the past). 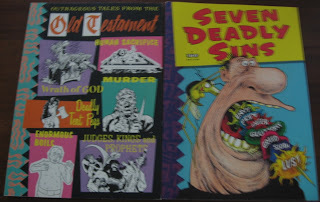 Seven Deadly Sins and Outrageous Tales From The Old Testament are anthologies with Moore only having a chapter in each (Neil Gaiman and some other comics notables also contribute to the anthologies, which were published by Knockabout in the late 1980s and are hard to find now, being a bit rare), but, as with most of Moore's work, they made for enjoyable reading. Next up is The Forty-Niners! 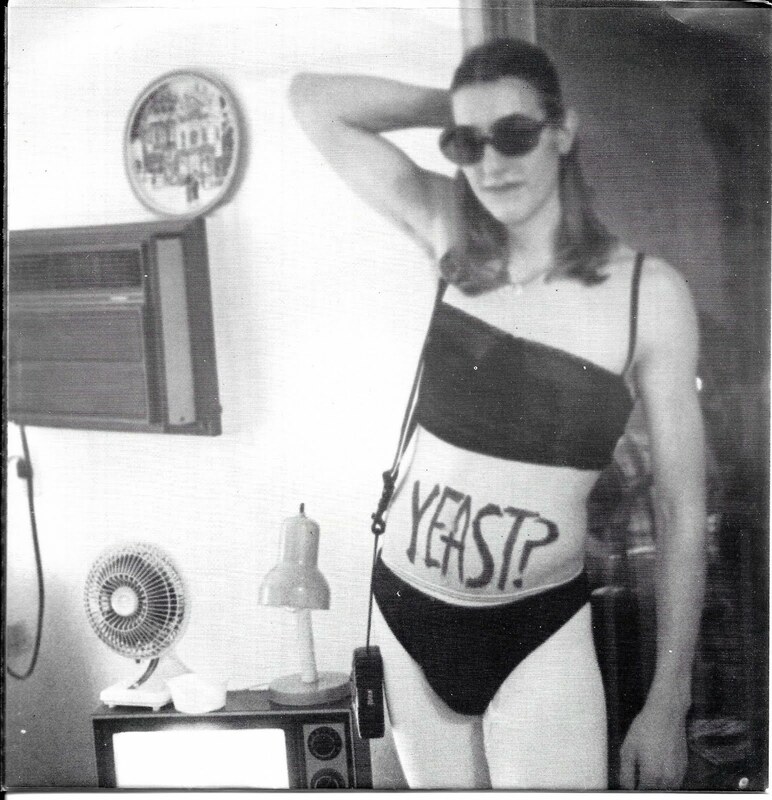 In fact, I think I'll end this blog post early and get back to reading!